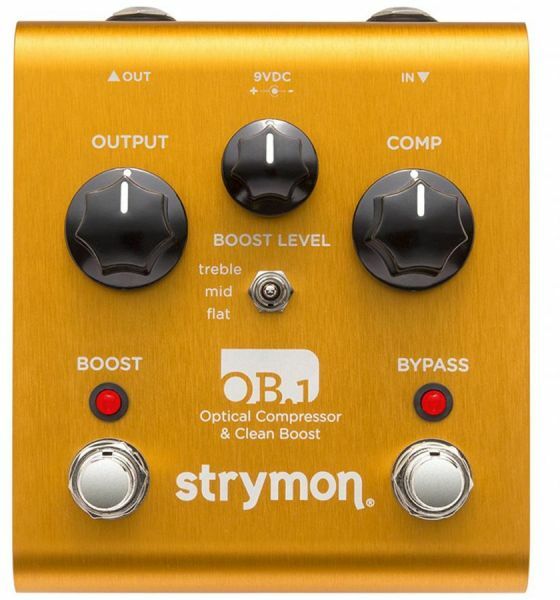 The Strymon OB1 Clean Boost Optical Compressor is the perfect pedal to go first in your chain before any other effects. That's because it can sculpt your tone in a way that's transparent and yet when you turn it off you'll miss it somehow. It's basically a 'better' button! On the outside you are given control over output and compression levels as well as the level of foot switchable boost and whether you want a treble, middle or flat boost. There are also internal dip switches that allow you to set the desired frequency of the treble/mid boost.